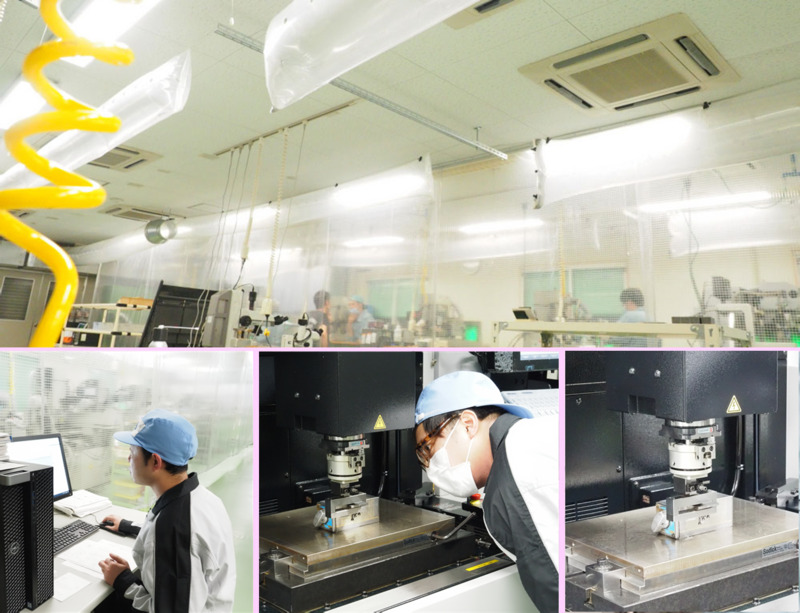 Construct our system which can keep producing the products with the customer's point of view in Japan. In Design Section, there are drafting and planning to make the equipment which are molds and machines. According to the connecter plans from customers, we design for the molds to make connecters like die and mold or the machines which need to assemble connecters. 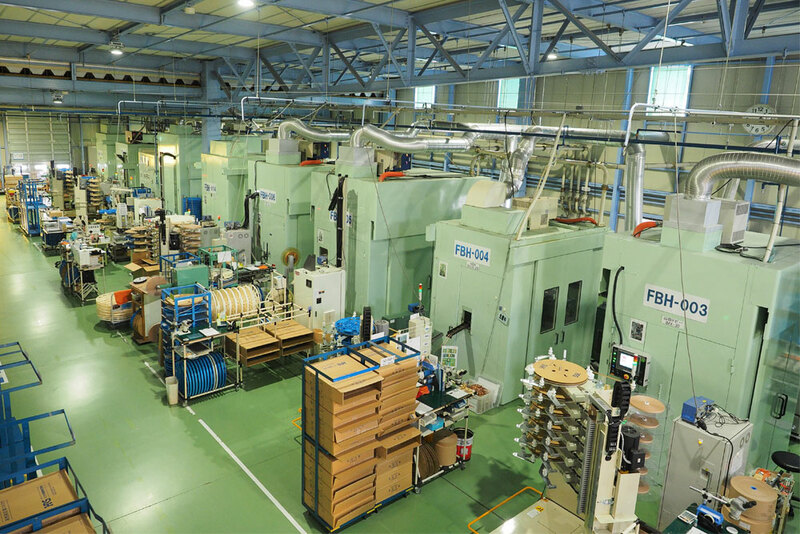 We have been producing plastic molded products more than 40 years since FB founded in 1975. Plastic molded products are influenced from the temperature and change the size of them. 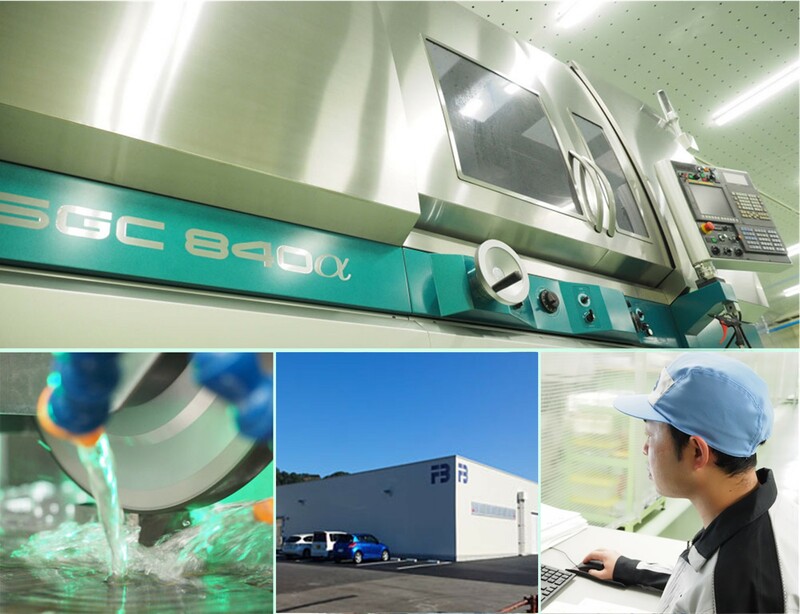 By incorporating our knowledge and experiences, the latest results from injection molding CAE(Computer Aided Engineering) into the design data, we are aiming at the realization of molding and equipment which can be satisfied with our customers. In machining section, there are mainly producing parts of the molds by dies and mold and assembly machines that we use. We have various kinds of machines. For example, the grinding machines,the electric discharge maschines,Wire-electric discharge machines, Machining center,Jig grinding machines. The operators who are handling machines have all kinds of qualifications and now, there are 13 top technicians in our company. The high precision dies factory has a different structure from another plants, we are trying to improve our skills every day. In these sections, we are doing from a few finishing touches to the assembly of the equipment. Assembly・・・In this section, we are completed the assembly based on the plans. To finish the parts which are manufactured with a high-precision is necessary for the great skills. We create various kinds of equipment by assembling them. 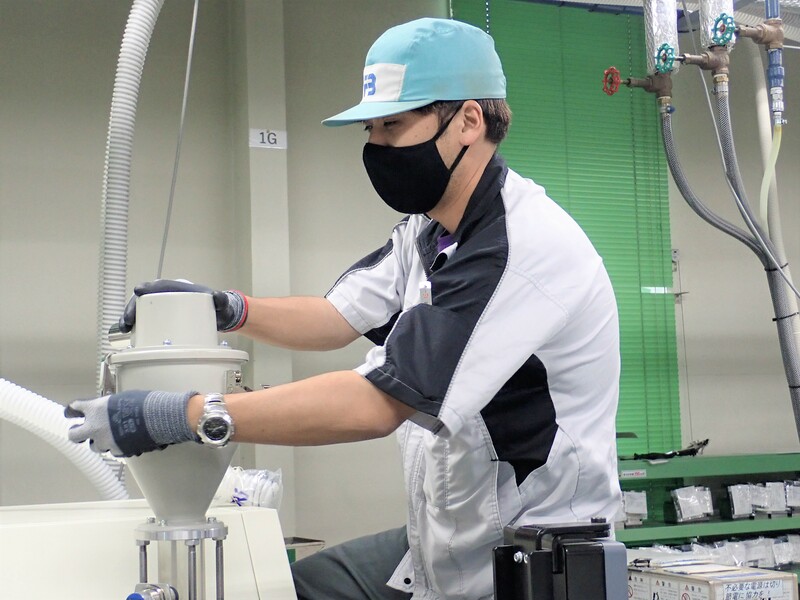 Trial productions・・・Producing connectors using the completed equipment and evaluate them. 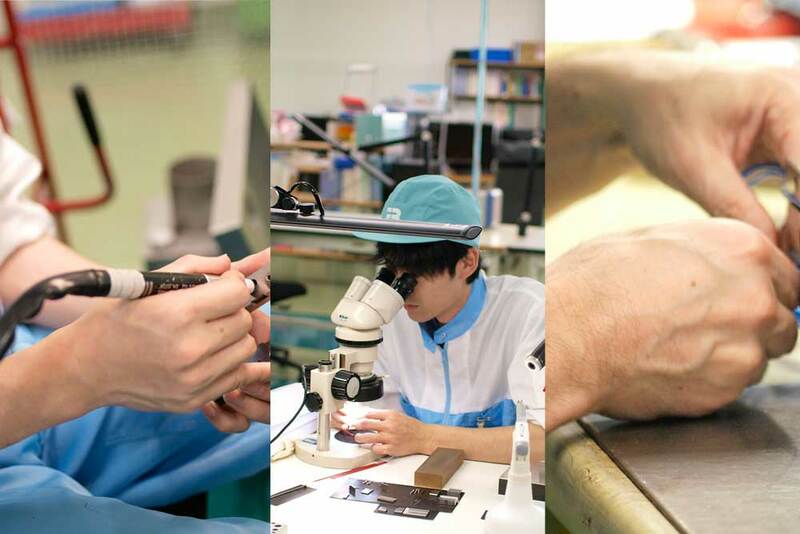 Both of them need high knowledge and techniques, but nothing could please us more than to create the great equipment. In the injection molding section, we have processes which are checking of mold's conditions, setting injection molding machines up and doing mass-productions. Through this processes, we are making an effort everyday to provide customers good products which meet their needs and undersell the other companies. There are the employees who have a qualification in the injection molding operation more than 50 in our company. They polish their skills and aim at the improvement the accuracy of the mass-productions. The press process is manufacturing by applying pressure to the metal plates. Using the molds and press machines, we make the metallic parts called "terminal" which is important for the connectors. To be realized minute products with various skills like shearing,bending,forming, it's necessary for our sensitivity not only the accuracy of the molds and press machines. The connecter assemblies is that last process of the producing connecters. 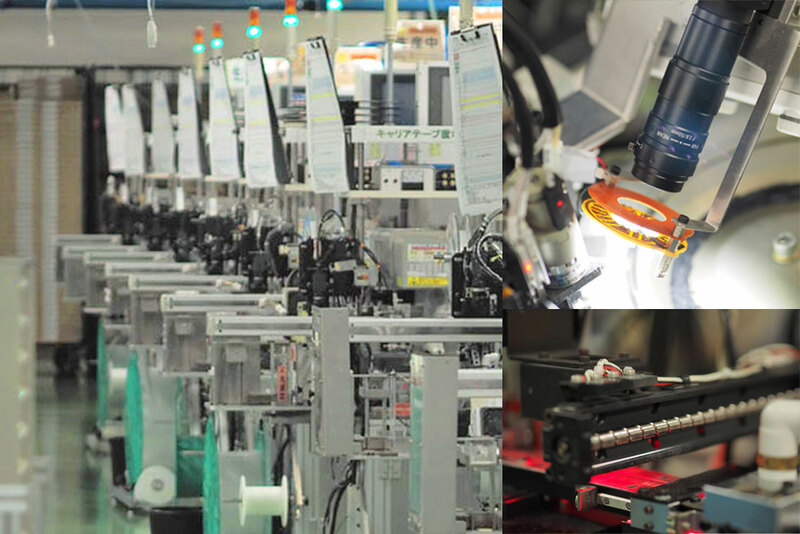 The idea of Quality first is our base, so we maintenance and check machines and the connecters are inspected from the sensors. Also, checking for producing them with usual conditions based on the data from sensors. Furthermore, they go on with the plan which can produce products cheaper more than now. Production Control Section has mainly 3 types of functions. 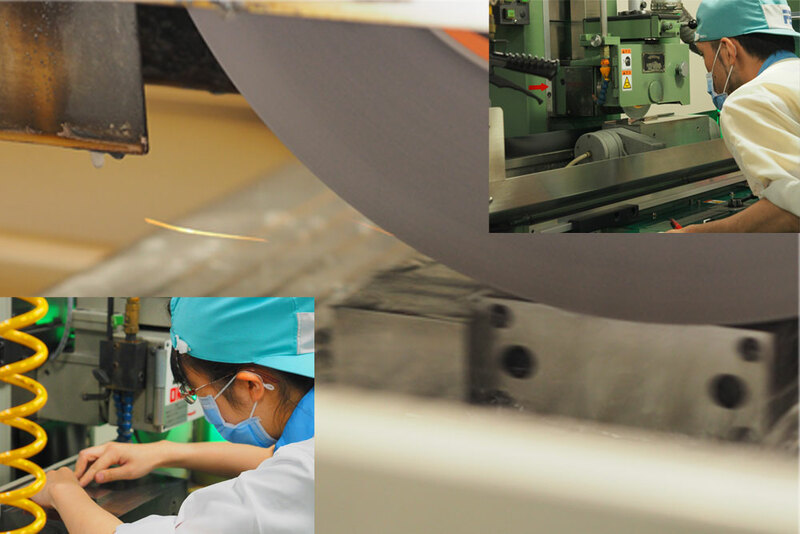 Production Planning ・・・we recognize the condition of the producing process to share the information with the operators and make the best production schedules. And then, give each processes the manufacturing indications. The products are controlled by using barcode system and shipped according to the date of delivery. These are applied of IT and the connecters which are produced are possible to trace. Place and accept orders・・・we order and do the receiving inspection for the materials and the manufactured goods. After that, we carry them to each processes. 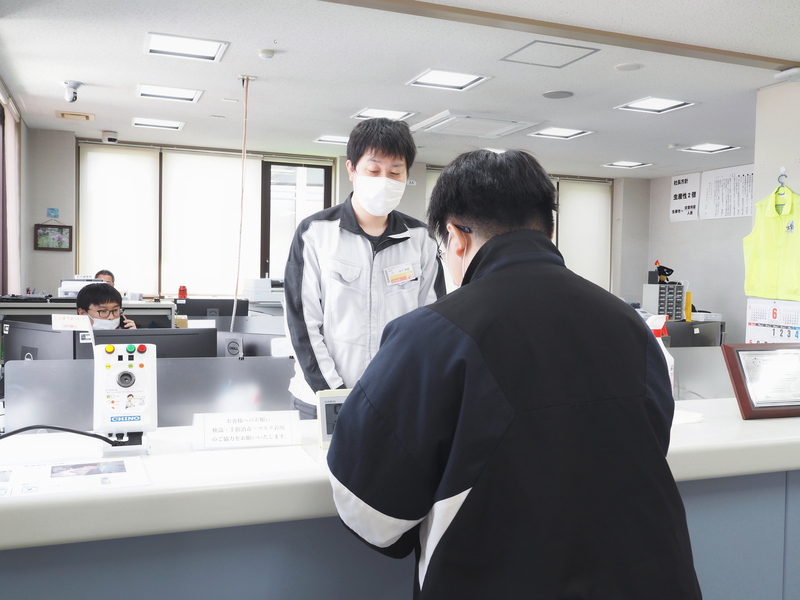 General affairs・・・In this section, we digitize the information from each processes to use for the improvement and control daily sales or the producing numbers. We train up and educate employees on the matters of the system and environment which enhance the quality to keep producing products which are satisfied by customers. It's also important affairs to use the customers' claims for producing products better more than now. Moreover, we analyze and investigate into the cause of some troubles, find a solution, review and construct the systems. Furthermore, we control and facilitate the network system. Enhance the quality of person and business to produce products which are the best quality. That is the work of this section. In sales section, there are playing a role in the connection to the customers and each sections. To keep up with the requests and needs from them, we try to get trusts and continuous orders. In Purchase Section, we place orders and manage various types of equipment which are used by the whole company. Also, we supply the goods that are safe and environmentally friendly. Business promotion department is generally called the general affairs. The accounting・・・the work of company's money like general account and financial affairs. The labor relation・・・the management of working hours, payroll and various procedures for the insurance. The personnel・・・the adoption,the factory tour,the internship and the contact with schools and public institutions. The legal department・・・the work from various laws and ordinances to company compliances. We have a "Iwaizumi factory" which is in the Iwaizumi Town that is about 40km north of Yamada Town and known for its Ryusendo Cave. This factory has only machining section and do the same work as machining section in the head office. in addition to the small-hole electric discharge machines and electric furnace in the Iwaizumi factory. 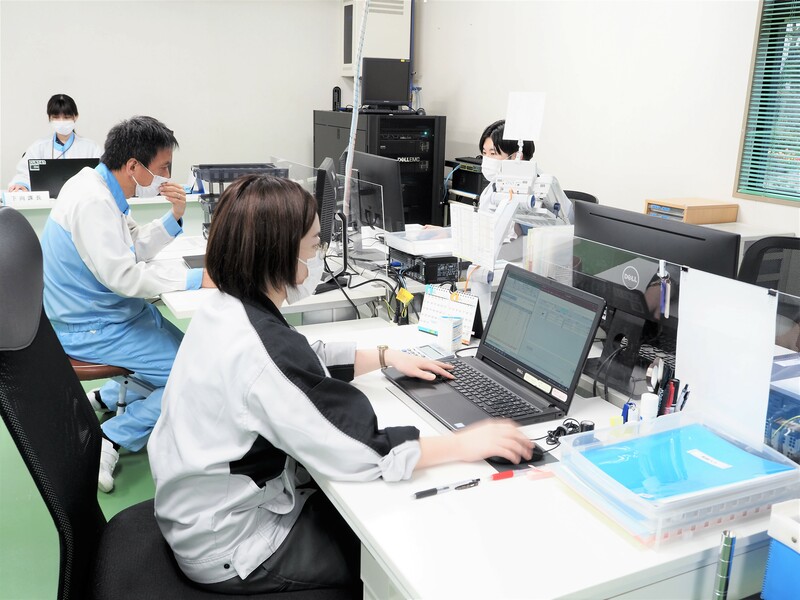 In the manufacturing room, we can control the temperature all the time and we are trying to decrease the margin of errors which influenced by the change of temperature even if using the measuring microscopes and coordinate measuring machines. The temperature in the machining room introduce to 2 levels of control system that are 23℃±1.0℃ and 23℃±0.5℃. It can be stabilize in the machining environment by giving off the heats and feeding new wind. Also we introduce the system that the dust from grinding the metals are collected and filtering the air. We offer the environment that we can produce the products with less variations in the post-process and high added value and the operators can display their real abilities. in cooperateion with our employees.